Kids II Spin to Engage | Multicolour | It features tumbling beads rattle. 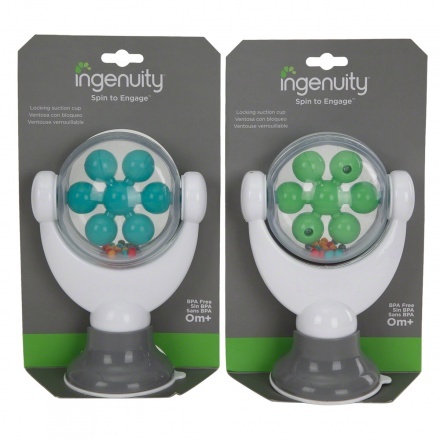 Keep your little one engaged, during mealtime, with this Ingenuity Spin to Engage toy. 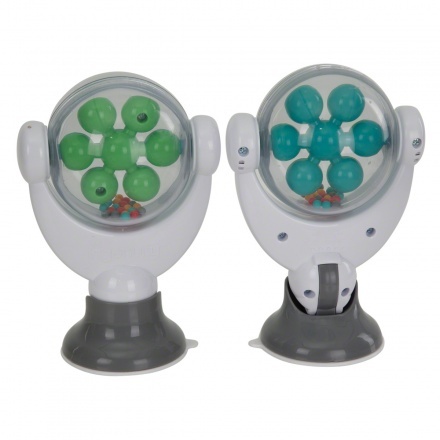 It features toys and a rattle that will keep your little one entertained. Feature 1 : It features tumbling beads rattle. Feature 3 : The toy's globe twirls the inner spokes. Feature 2 : It has a flat surface with its locking suction cup.